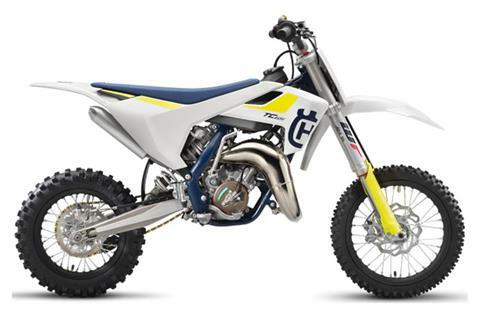 The new TC 65 offers young motocross fans the chance to experience a full race bike with a hydraulic clutch and a manual gearbox, possibly for the first time in their riding careers. 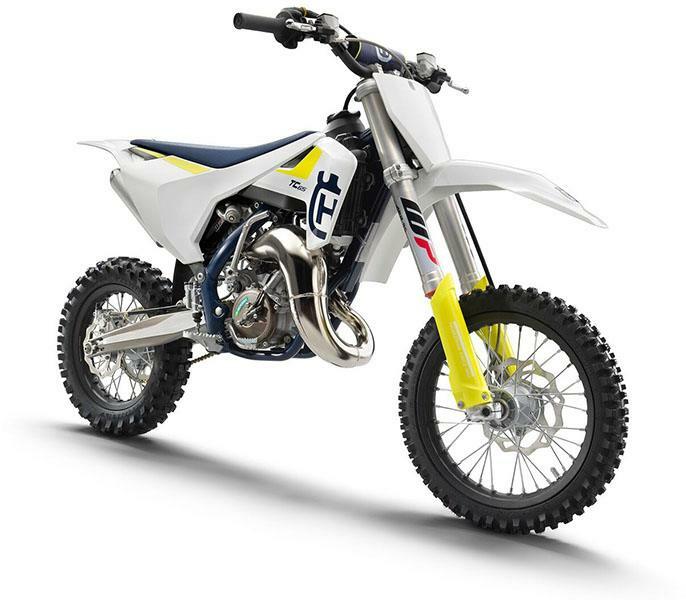 Featuring premium components as standard, the TC 65 offers exactly the same quality as that found on Husqvarna’s larger motocross machines. ENGINE: Featuring the latest in 2-stroke technology, the TC 65 is highly competitive in the 65cc class. Apart from using the lightest and most durable materials, the engine features a pressure controlled exhaust valve which contributes in delivering top level performance. Additionally, the engine features a manual 6-speed transmission and hydraulic clutch allowing the rider to have full control of the power delivery. 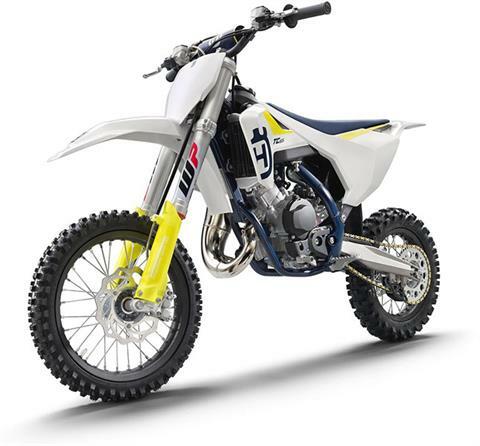 CYLINDER: The high performance cylinder is made from lightweight and durable aluminium and incorporates a pressure controlled exhaust valve (PCEV) which provides unrivalled performance giving the young motocross rider a distinct advantage. CLUTCH: guarantees even wear, near maintenance-free operation and perfect modulation in every condition. Meaning that play is constantly compensated so that the pressure point and function of the clutch remain identical in cold or hot conditions, as well as over time. FRAME: The high strength chromoly steel frame is produced by WP Performance Systems and integrates carefully calculated parameters of longitudinal flex and torsional rigidity to benefit handling and suspension functionality. It guarantees easy handling and precise cornering, along with outstanding stability. The subframe is conected to the frame by 4 screws and is made of lightweight aluminium. WP AER 35: Featuring the latest in suspension technology, the TC 65 is fitted with a revolutionary WP AER 35 fork. Besides being very light weight, the 35 mm USD forks feature exceptional damping and comfort characteristics allowing the rider to push the limit with complete confidence. With 215 mm of wheel travel, the air unit in the left fork leg can also be adjusted easily with the use of an air pump for rider preference, weight or track conditions. REAR SHOCK: Linked directly to the swingarm, the WP monoshock is ideally matched to the front forks for the perfect balance and damping characteristics. Additionally, the rear shock offers 270mm of suspension travel and is fully adjustable allowing it to be tailored to rider preferences or track conditions. BRAKES: Featuring the same level of technology offered on the full-size motocross range, the TC 65 is fitted with hydraulically operated brake callipers and large waved front (198mm) and rear (160mm) brake discs. The system ensures advanced brake feeling and stopping performance in all conditions. BODYWORK: The bodywork of the TC 65 is modelled specifically to the smaller riders to experience the ideal contact points and ergonomic feeling instilling confidence and comfort in all riding conditions. HANDLEBARS: Made of high quality aluminium alloy, the handlebars offer top stability and safety. Additionally, a specific handlebar bend is created to offer the best ergonomic position. A crash pad on the handlebar brace protects the rider from any impact. WHEELS: Mirroring the full size motocross range, the TC 65 uses lightweight, black anodised, aluminium rims providing the highest strength and reliability. The standard MAXXIS tyres provide progressive grip on a variety of different terrain. COOLING: An intelligent cooling circuit with integrated crankcase cooling and two radiators ensure heat dissipation resulting in a constant temperature balance for consistent, high performance.